Students at Clinton Street Jr. Public School in Toronto have access to a unique visual arts program called ARTsmart. The program is run by Friends of Clinton (FOC), a registered charity supported by volunteers from the Clinton school community. FOC was formed in 1989 in conjunction with an endowment gift made to the school by former student Beatrice Minden, née Spiegel (1910-2009). 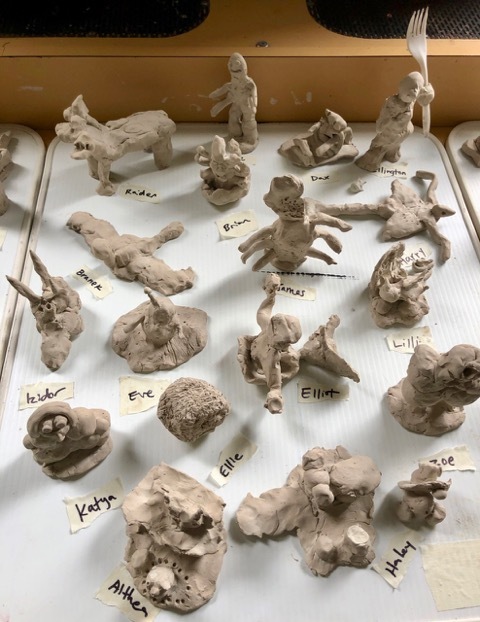 Beatrice had fond memories from being a student at Clinton and she held a strong belief that primary and junior students greatly benefit from visual arts instruction. The Art Room on the first floor at Clinton School was dedicated by Beatrice. 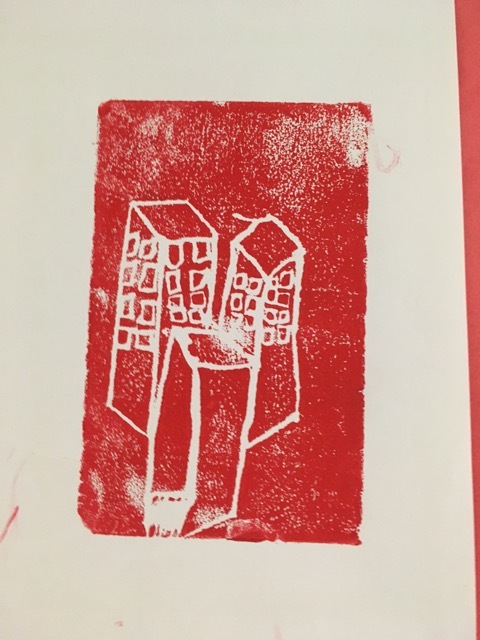 The ARTsmart program provides students with opportunities to work with professional artists and artists living and working within our school community. The program is based on a close collaboration with Clinton School teachers. This year, teacher’s sign-up on a board posted outside the Art Room for the opportunity to be part of a session with visual artist and Art Room Coordinator Amanda Wyman. Each May, Clinton hosts an annual Art Night to showcase and celebrate Clinton student’s art work. Charitable donations to ARTsmart help with the cost of running the program, including materials, artist fees and a modest bursary for the Art Room coordinator. Apart from charitable donations, supplementary funds are raised at pizza fundraisers during school concerts as well as support from Parent Council generated from the Fall Fair. Your donation helps make visual arts enrichment possible for all Clinton Public School students! If you have any question about donating or if you would like to donate in honour of someone, please contact Anette Larsson (Chair). Amanda Wyman has left her role as Art Room Coordinator to dedicate her time to teaching at TDSB. We thank Amanda for all her work with Clinton students this school year and wish her all the best as a teacher. The next ARTsmart meeting is on March 21st from 6-7PM in the Art Room. All are welcome to attend. We need more people involved to help run our charitable organization that provides visual arts enrichment at Clinton School. Please contact Anette Larsson, Chair, for more information at anette.larsson@sympatico.ca. During the past two months the students have been learning about clay and how it is used in our everyday lives. 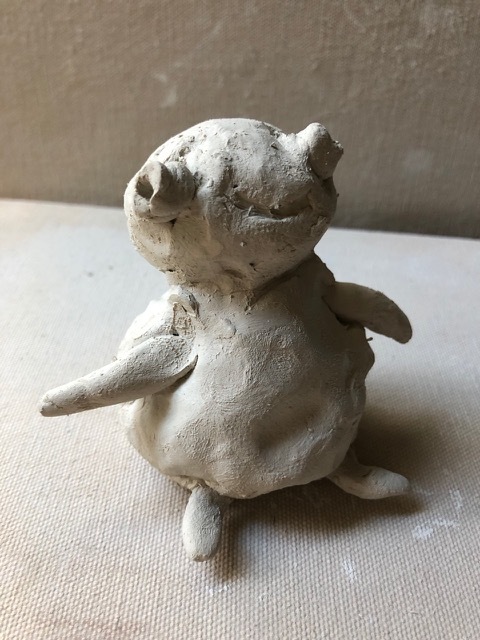 We used air-dry clay to make monster sculptures by attaching clay pieces together (also called scoring). Additionally they learned about primary and secondary colours and how to mix them with the right amount of paint. We learned about tints and shades and how we can make colours lighter or darker with black and white. Thanks to Ekin for her assistance in the art room and the photos. Check out the photos of these amazing creatures. The next ARTsmart meeting is on January 10th in the Art Room from 6-7. Thank you to all the rock painters at the Fall Fair! Ekin Yagman and Danica Trasher organized this activity for ARTsmart. All the rocks have been placed in the Clinton garden. Every Clinton student will benefit from visual arts enrichment in the Art Room this year. Our new ARTsmart Coordinator Amanda Wyman, in collaboration with Ashley Weger and Sonia Antunes, have created a schedule for when each class will attend the Art Room. This differ from previous years when teachers had to sign up for their class to attend. We are looking for a pool of parent volunteers who can assist Amanda in the Art Room. Please contact Christine at c_leonard@sympatico.ca if you are interested. 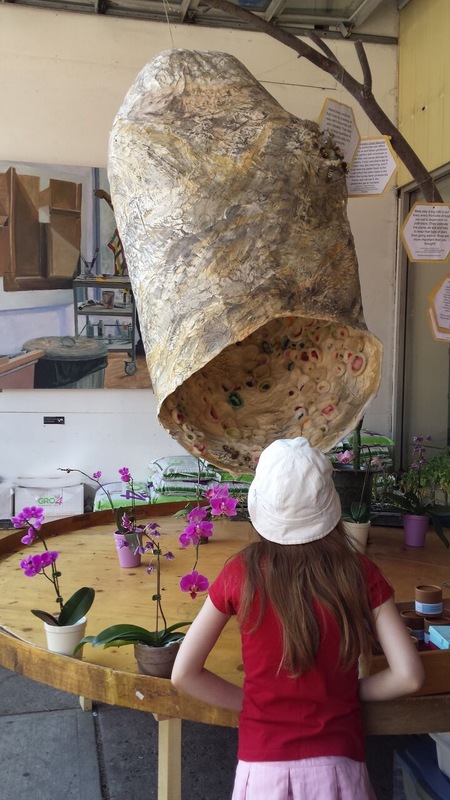 We received great feedback from students, staff and family members who took in this incredible showcase of art created at our school this school year. Big congratulations to Art Room Coordinator Eduarda Sousa, Clinton teachers, staff and volunteers who made Arts Night a great success. The kindergarten classes this past month have worked on papier mache masks. Eduarda has also started the process of discussing ideas with the graduating grade six classes about ideas for their graduation project. With the other classes, she has continued honing their skills in charcoal still life drawing and exploring watercolour. February was a busy month. Students have continued to hone their charcoal skills and the results are remarkable as the drawings from grades 2-6. 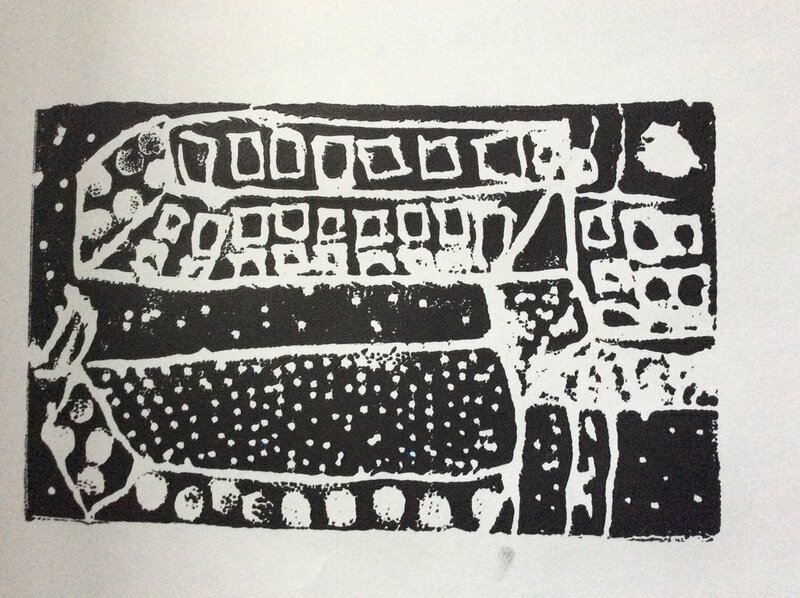 Some 5/6 classes have worked on printmaking and this painting was made in one of the DD classes. Focusing on building fundamental skills, the students have practiced their observation skills while drawing still life. 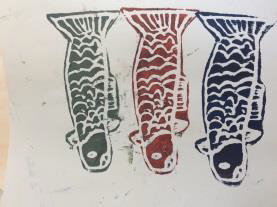 Recently, Eduarda introduced printmaking to some of the classes, focusing on techniques that are easy to replicate at home. Liz Pead, artist and secretary of ArtSmart conducted her Tree Sweater Knitting at the Fall Fair! It was amazing to see so many kids and many grown-ups engage in the mechanics of the knitting machine, picking the colours, and designing the pattern and then picking the lucky trees in our school yard.